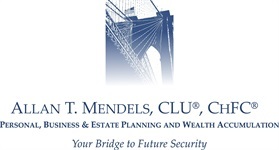 Allan T. Mendels, CLU®, ChFC® is a Chartered Life Underwriter® and Chartered Financial Consultant®. As a Chartered Financial Consultant®, he can assist with creating a comprehensive financial approach, addressing estate, investment, risk management, insurance, and business planning needs. Until recently he held a FINRA Series 1 (Registered Representative Examination), 63 (Uniform Securities Agent State Law), and 65 (Uniform Investment Adviser Law) securities registrations for 40+ years. With more than 47 years of experience in the insurance and financial planning arenas, he has spoken across the country to groups of financial planners, lawyers, physicians, accountants, estate planners, and high-income individuals. Allan is actively involved in a number of non-profit organizations and community groups. He volunteers with a non-profit business, Spectrum Designs, that employs young adults with autism. 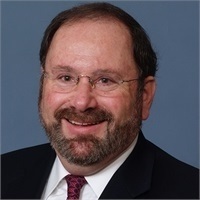 Over the years, he has served as a board member and officer of his synagogue; as president of the Association of Roslyn Estates; as trustee of his village; and as trustee of the Jewish Reconstructionist Federation. He has also been a Committee Chair and Divisional Vice President of the Million Dollar Round Table (MDRT) and a trustee of the MDRT Foundation, which distributes over $1 million per year to charitable organizations. Allan resides in South Orange, New Jersey, with his wife, Laura. He enjoys U.S. and international travel, cycling, photography, following current events, and visiting with friends and elder people in the community. He and his wife, Laura, have three daughters and four grandchildren. Their daughters and families live in San Diego, Los Angeles, and Maplewood.